My name is Karen Perry, but around here people call me Drifty. 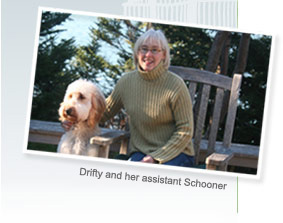 It’s a nautical nickname I earned while living and working on Mount Desert Island these past 35 years. I’m a Mainer born and bred, and it’s here, on the rocky coastline with the rumbling surf in my ear that I feel most at home. And that’s how I strive to make my clients feel—at home. To begin, we start with choosing the right rental home. When you’re planning your retreat, I’ll ask you about your preferences. Do you want beachfront or solitude? Sunlight streaming through a wall of windows, or a short walk to town? Then I’ll suggest the house, cottage or cabin that’s the best fit. That’s why Maine Cottage Properties and Drifty are your best sources when it comes to finding the right Maine coast cottage or vacation home—whether it’s in Bar Harbor or Bass Harbor. My years of experience in the rental business help me match you to just the right vacation getaway. While you’re here, I’ll also act as your resource for all that’s local, whether it’s recommending a lobster restaurant that serves kids meals or recommending a kayak rental. We do it all! I provide all of my clients with my cell number—and they’re encouraged to use it. And, really, it’s no problem on one of the prettiest islands in the world. 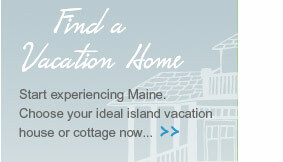 To start your Maine Cottage Properties experience, look through the cottages and homes listings, and start picturing yourself on an island in Maine.